Riding back to Boston after a warm winter in the southwest. Heading west, on two wheels again but this time with a motor to help me. Most of my stories start in a someone's office, usually a doctor's office. This story is no exception. Doctor Jiha D. Putah: "Your blood tests are back. You had Chikungunya." Dr. Putah: "Chikungunya. It's a mosquito-born alpha virus, from the same mosquito that transmits Dengue Fever and the Zika virus." Me: "Oh. And what is the treatment for it?" Dr. Putah: "There is no treatment. There is nothing I can do for you." 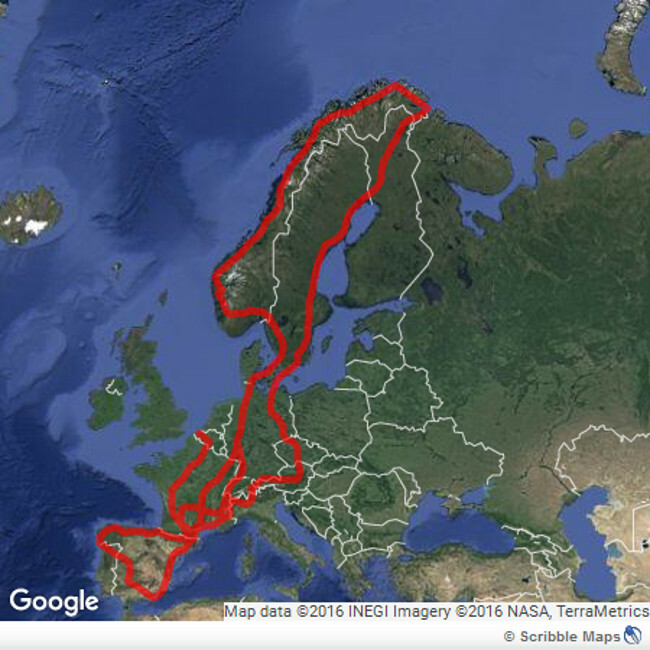 Europe, by motorcycle, from middle to bottom to top to bottom to middle.